Diwali and Christmas are two of the important festivals in India. Here are some of the differences and similarities. Both Christmas and Diwali are a religious festival. Diwali marks the return of Bhagavan Sri Ram, Mata Sita, Lakshman and Hanuman to Ayodhya after 14-year exile period. Christmas is the birthday of Jesus Christ. 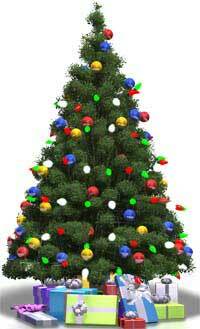 Christmas is observed on a fixed date (December 25). Diwali is based on lunar calendar and is usually observed on the no moon day (Amavasya) falling during the second fortnight of october or the first fortnight of november. If Christmas is synonymous for cakes, then Diwali is synonymous for sweets. Gifts are exchanged in both Diwali and Christmas. However, in Diwali there is no figure like Christmas father (Santa Claus). Lighting arrangements are part of both the festival. Diwali lamps (diyas) are lit during the period. During Christmas, it is stars. The lamps lit during diwali are traditional and made using natural materials like clay, oil and cotton. 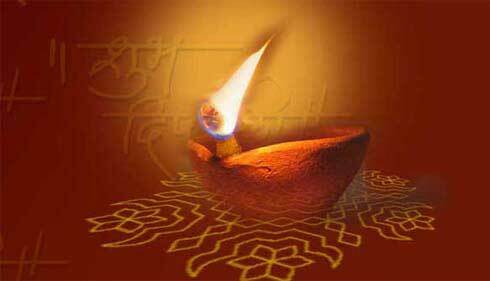 Diwali is observed for five days and it is the most important holiday season in India and for Hindus around the world. Christmas too is the most important holiday season throughout the world. Diwali is mainly restricted to Hindus. Christmas in India is largely restricted to Christians but Hindus do participate in Christmas carols and programs. There is nothing like concept of Christmas Tree during Diwali.